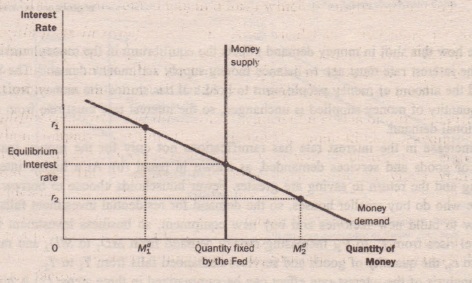 supplied and the quantity of money demanded into balance. 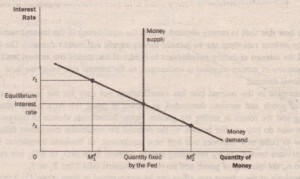 If the interest rate is above the equilibrium level (such as at rt), the quantity of money people want to hold (Mt) is less than the quantity the Fed has created, and this surplus of money puts downward pressure on the interest rate. Conversely, if the interest rate is below the equilibrium level (such as at rz), the quantity of money people want to hold (Mn is greater than the quantity the Fed has created, and this shortage of money puts upward pressure on the interest rate. 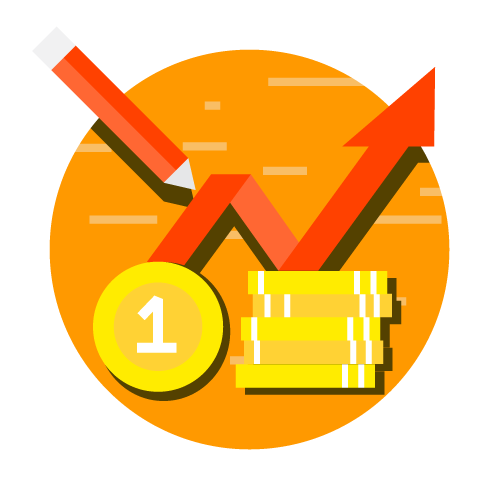 Thus, the forces of supply and demand in the market for money push the interest rate toward the equilibrium interest rate, at which people are content holding the quantity of money the Fed has created.